Photo courtesy of Frugal Fun for Boys. Spoonful has a tutorial for a wearable decoder disk. What boy camper wouldn't enjoy being a spy and sending secret messages. Check out Spoonful for this tutorial. Update: The link to Spoonful no longer works. 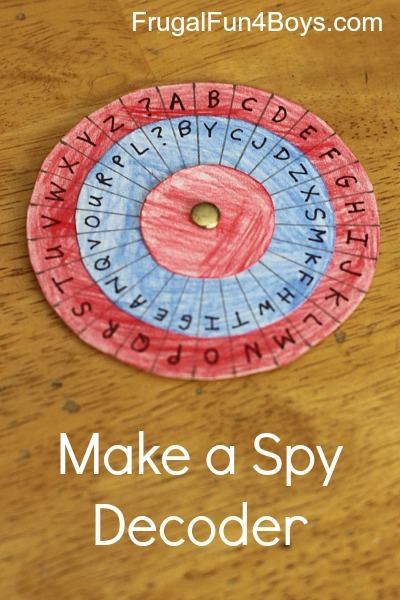 But go to Frugal Fun for Boys for a tutorial to Make a Spy Decoder.